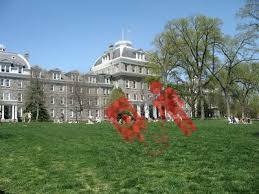 As Swarthmore students, we might forget our humble beginnings as prospective Swarthmore students. How could one forget the first time visiting, and being confronted with sprawled chalk writing on the path in front of Parrish? These feverish hieroglyphics can be a student’s first interaction with Swarthmore –– the institution trying to win their heart –– and its student body. While admissions events such as Swatstruck have been carefully planned to give a charitable glimpse into snapshot-quality life at Swarthmore, perhaps the itinerary could be revisited for a more interesting interpretation of Swarthmore life –– an interpretation that is sure to attract the student with a love for intellectual vitality, an eye for the arts, and a fervor when thinking about man’s taming of nature. First order of business: the scenic chalk directions. This is a rather easy modification to the Swatstruck events as they stand. Instead of offering simple check-in directions to our guests with lots of luggage in hand, let’s offer a beautiful trail in pastel chalk from the SEPTA station or Parrish Circle leading them to the back of Parrish to check in at Parrish Parlors. If our honored guests can’t stomach breathing the beautiful arboretum oxygen for five additional minutes, would they really be happy breathing it for an additional four years without chalked directions? This suggestion might rub a lot of people the wrong way. One might think that this will simply cause students to attribute unnecessary aggravation with Swarthmore, but we hope to present the most honest version of Swarthmore we can, and this will result in some people turning down their offer of admission. What more honest representation of Swarthmore is there than the unshakable imposter syndrome that consumes most of us at some point? While it might sound ambitious to try to present this to the prospective Class of 2023, it is totally achievable in an all-day talent show for which everyone has a talent except for you. Revel in the courage of others to show some breathtakingly average or master-level skill in performance from every person you will be taking classes with while you sit quietly and remain invisible until the next event. Extra points if there are tech problems every three performances. As proud Phoenixes, however, we feel a sense of pride in our campus and community, and want to make everything we love visible. One point of community we find strong at Swarthmore is our lack of commitment to clubs that we sign up for out of aspiration. Hoping to showcase this community, we propose that following the club fair at Swatstruck, we ought to have a live workshop on how to unsubscribe from listservs without having anyone know. We believe this would be of great interest to not only prospective students, but also to many current students. In addition to the great Quaker values which will be mentioned at Swatstruck, we figured offering a vehicle for charitable donations would be a great aid to students. Much to the disappointment of fundraisers for Swarthmore’s massive endowment, we are not talking about monetary contributions. No, this goes much further and will actually help make the class schedule for visiting students a lot more realistic. Should an actual vehicle (or multiple) come to campus and take blood from prospective students prior to attending class, leaving them tired, this would control for students who are not yet jaded and still use the expression “early bird gets the worm” and for students whose work ethic burns out as the semester progresses. It is with simple modifications such as these that we can create an honest, exhilarating, life-renewing, medically-inadvisable Swatstruck for our future companions.